Andhra Pradesh Police Department is inviting online applications from eligible applicants for filling up 2723 Vacancies for the posts of Constable, Warders & Firemen before the last date that is given below. All the applicants are suggested to cash latest chances of Jobs in Andhra Pradesh Police Department by visiting the official website of organization. Apart from educational qualification appliers must also have good communication skills which will help them a lot in getting job in Andhra Pradesh Police Department. Eligible applicants, who are willing to develop their Career in Government sector, and want to apply for AP Police Recruitment, as soon as possible. If you wish to get extra updates, keep tuned with us through this web page. 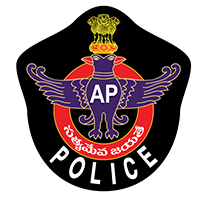 For more info about AP Police Recruitment like as post name, post wise education qualification, selection process, how to apply, application fee, important dates etc are given below.